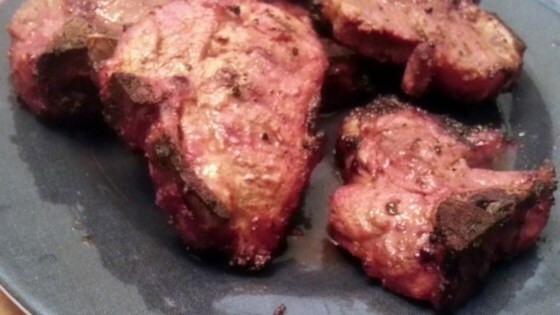 "This marinade is delicious - even my daughter (who hates lamb) loves this dish! Use on cutlets chops or BBQ whole lamb fillets then slice and add to salad. YUM!" In a glass bowl, stir together the garlic, mustard, lemon zest, lemon juice, honey, curry powder, chile paste and turmeric. Rub into any cut of lamb, and marinate for at least 3 hours before cooking as desired. This has to be the greatest lamb marinade ever. Did not have the asian chilli and used Thai sweet chilli sauce instead and it worked out. Definitely a keeper. tried it on lamb kebabs and it was Fantastic! All thumbs UP!! My husband and I loved this. Great complement to lamb. One son liked it, one didn't. It would make a great dish to grill for company with some jasmine rice and Indian rotis, and a nice salad. This is unreal! Highly recommend this for grilled lamb chops. Server with some middle-eastern rice and you're in for a treat. Excellent. Not too much liquid, great flavour, perfect for lamb cutlets on the BBQ. Very interesting flavor - thanks for sharing. We really liked it and will use again!